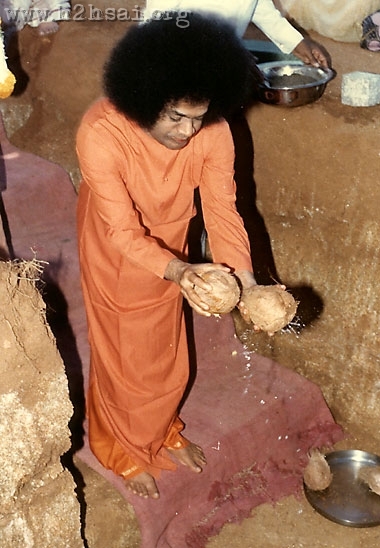 Since ancient times in Indian culture every ritual and worship be it in a temple or in a home is usually accompanied by breaking of coconut/s. 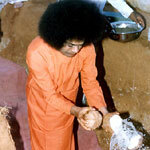 This is considered sacred and the sweet water inside this holy fruit is often offered as prasadam to all. 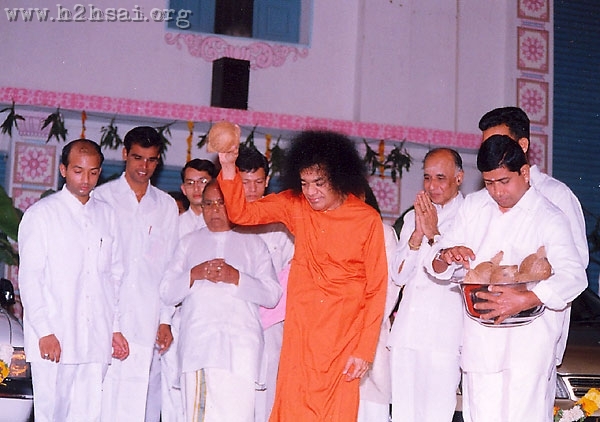 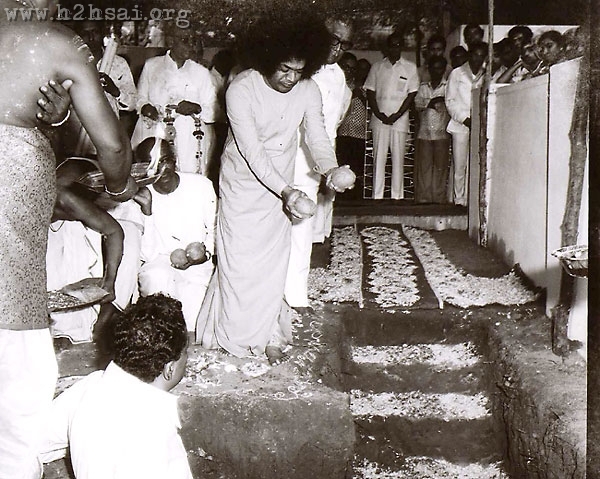 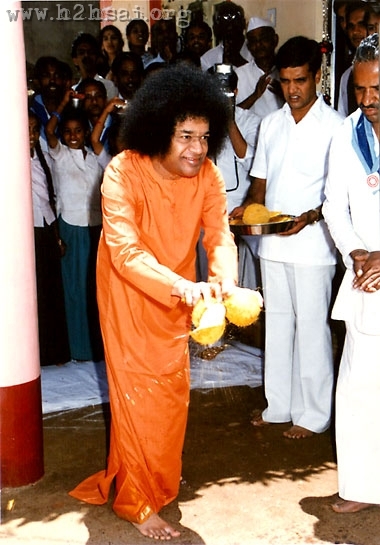 However this ceremony of cracking the coconut acquires a whole new significance and is in fact absolutely thrilling in Prasanthi Nilayam because the Lord Himself does it! 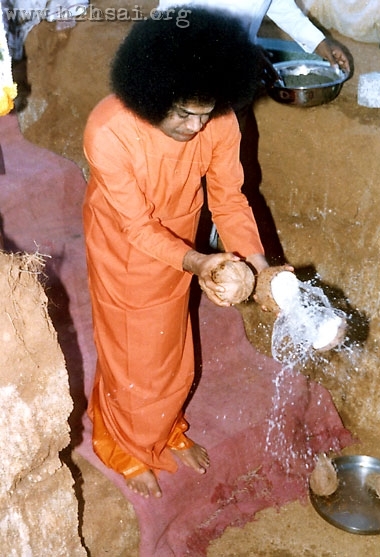 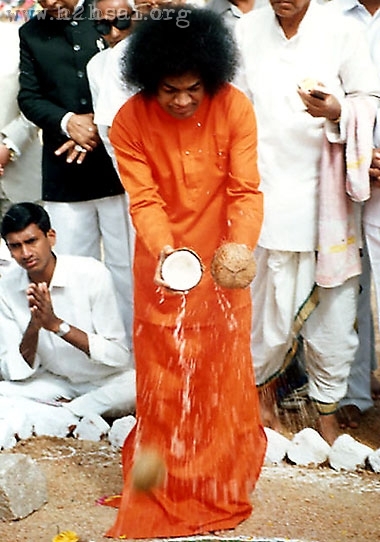 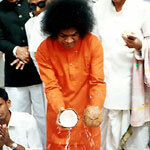 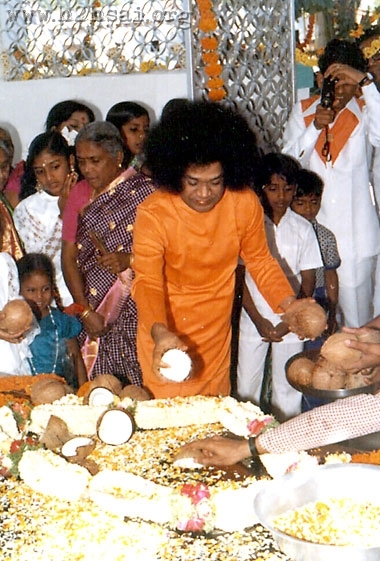 In the earlier years, on many occasions Swami used to take two coconuts, one in each hand and then strike one against the other, and believe it or not, each nut would crack exactly in the middle creating two exact white cups! 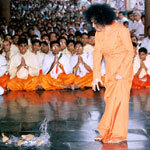 It was a real delight to watch this sight. 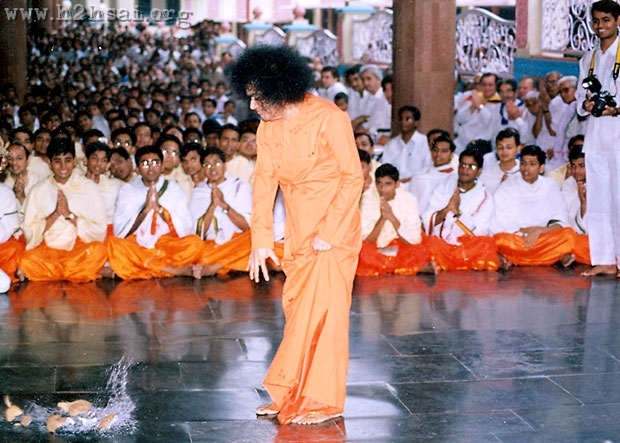 The gallery below gives you a few magnificent glimpses of this divine sport. 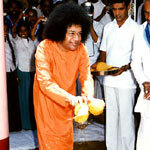 While this is exciting to witness, the message behind this is equally elevating. 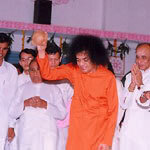 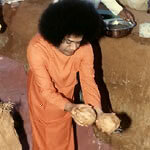 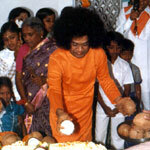 Swami says the shell of the coconut represents our body and the white kernel inside is the divinity within. 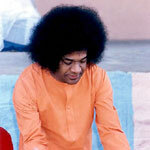 And the outer skin on the shell is our various desires and tendencies. 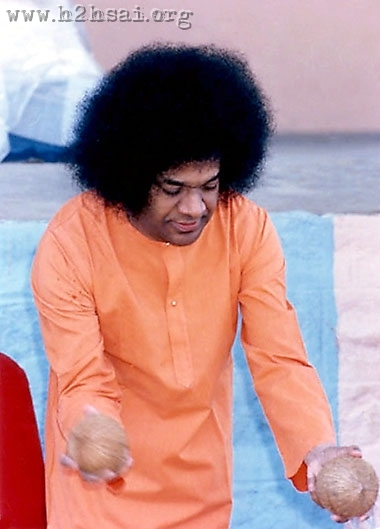 Only when we remove these undesirable traits, and destroy the feeling that “I am the Body” will we be able to open ourselves to the vision and sweet experience of the Pure Lord. 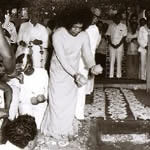 This is the profound lesson; let us remember this and reiterate it to ourselves whenever we perform or participate in this ‘fruitful’ ceremony passed on to us from our wise ancestors.